Using our new rice cooker, we plan on making a lot more sushi at home. It’s simple and so much less expensive. The usual California Roll recipe calls for imitation crab (surumi) or crab but, as it turns out, I’m allergic. 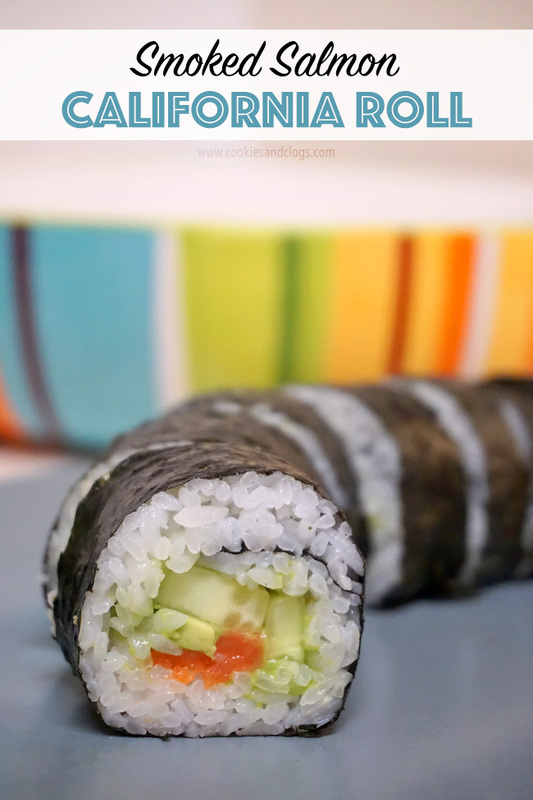 So, we modified this sushi roll recipe to include smoked salmon – yum! Place seaweed on bamboo mat. 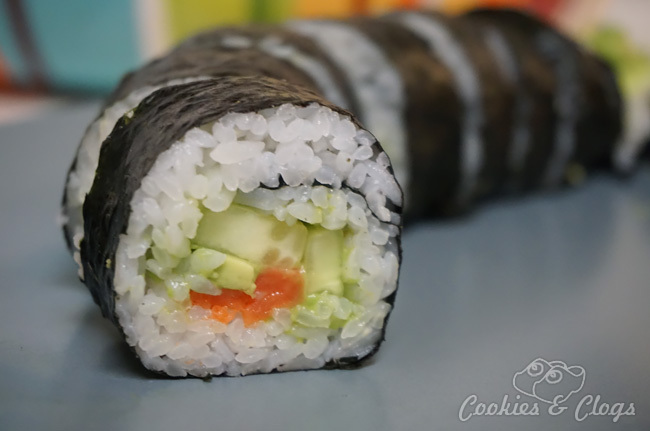 Spread an even layer of rice on seaweed, leaving about 1 inch uncovered to complete roll. Add cucumber, avocado, smoked salmon, or other desired ingredients in a horizontal row, parallel to bamboo slats. 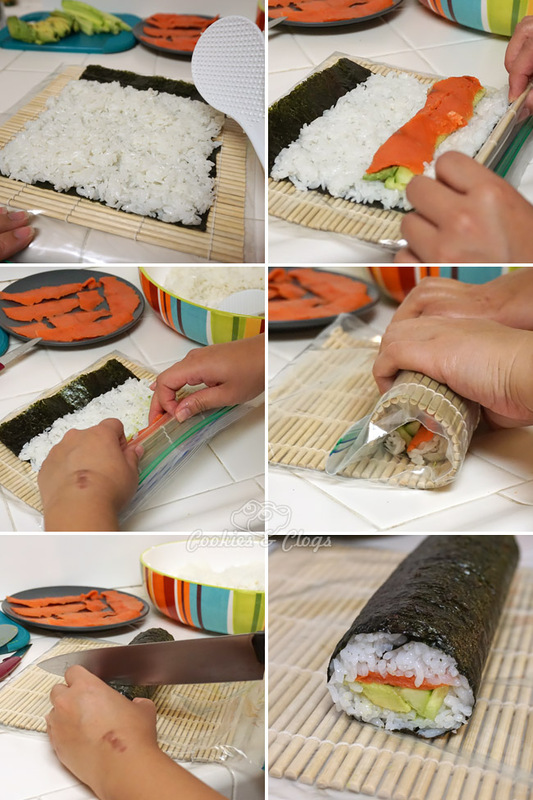 Holding the ingredients with your fingers, tightly roll the mat until your sushi roll is complete. This takes practice. Slice roll in 6-8 pieces. Serve with wasabi and soy sauce (or Temari if you need gluten-free). Love this article. And it looks delicious. I like the way you used the plastic baggie. I would certainly feel that each sushi roll that was made would not be contaminated. Keep receipts coming. It is yummy! I’ll have to make it for you next time. The bag made it a bit harder but definitely less worry about cleaning the mat! I am salivating…this looks so good!! Thanks! We love it! Need to get some more seaweed and I want to learn to make Tamago (sweet egg) next for a topping!